Start RightEdge and click Tools > Options. 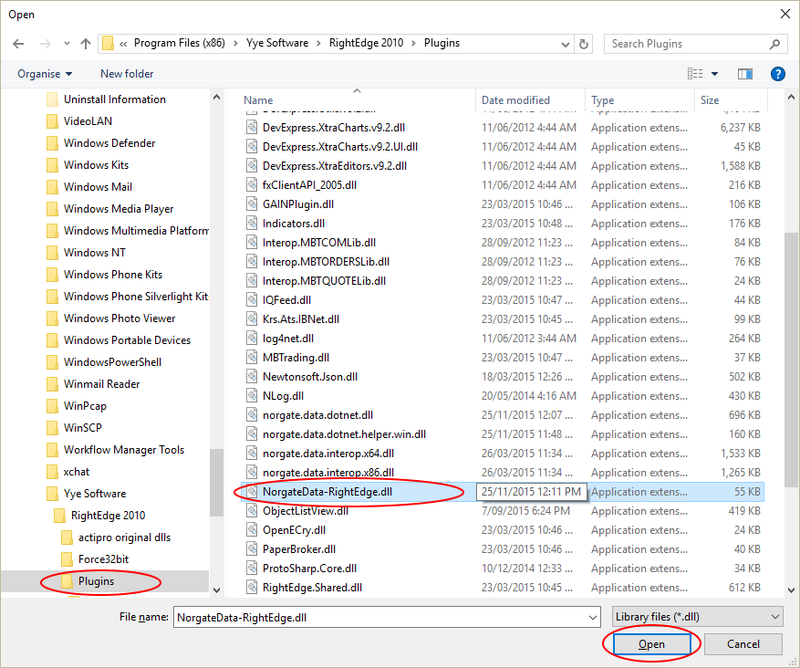 Set "Data Store" to "Norgate Data Store". 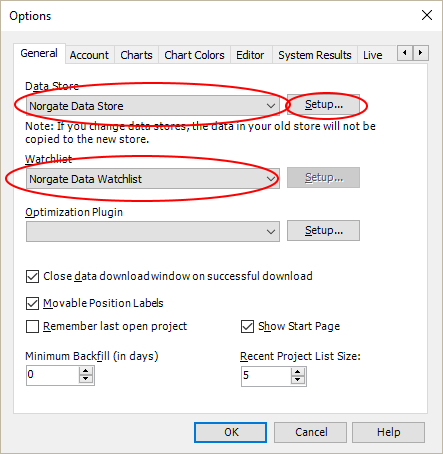 Set "Watchlist" to "Norgate Data Watchlist". Click Setup to configure the plugin settings for "Date Padding" and "Price & Volume Adjustment". Please note that these settings can be changed at any time by way of RightEdge > Tools > Options. Click the "OK" button when finished. 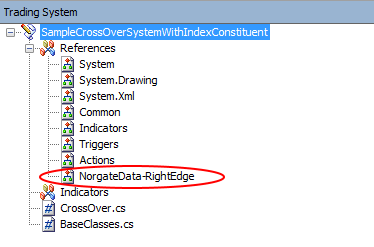 The NorgateData-RightEdge assembly now needs to be referenced in all of your trading systems. You can either do this via RightEdge's GUI or via editing your trading system .rep file. 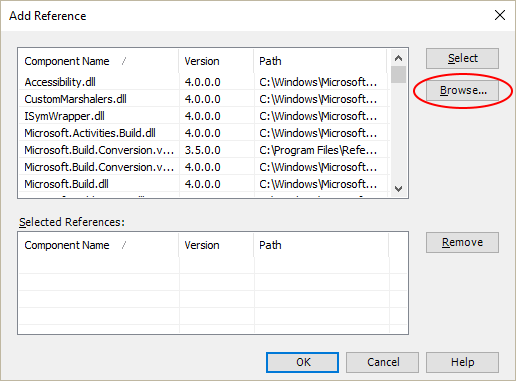 Note: this will need to be done in each separate trading system project that you use with NDU. 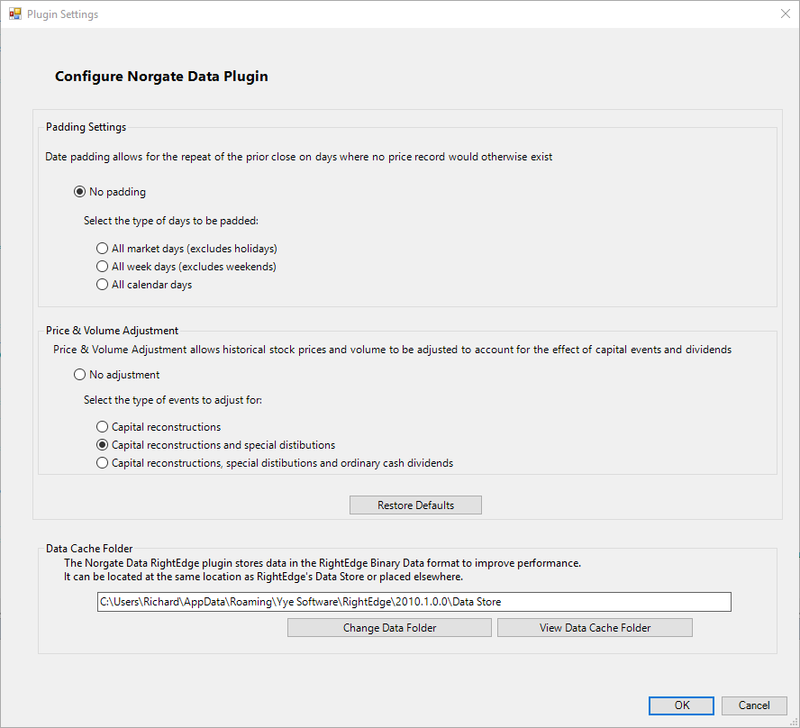 In the "Trading System" window, right-click on the "References" node and click "Add Reference"
Navigate to the RightEdge plugin folder (typically "c:\Program Files (x86)\YYe Software\RightEdge 2010\Plugins"), select "NorgateData-RightEdge.dll" and click Open. Note: Now repeat this in all of your other systems. 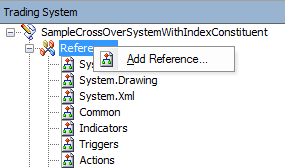 As an alternative to the GUI method of adding the reference, you can edit your trading system's .rep file, add the following text below the <references> element.